alice McCall is an eclectic brand with a playful sensibility, using unique detail and charming folk-like craftsmanship to create charismatic, modern keepsake collections. The brand has achieved international and local applause through fashion weeks at London, New York and Sydney with a strong following by Katy Perry, Kendall and Kylie Jenner, Iggy Azalea and Alexa Chung. 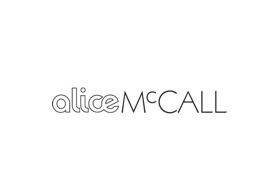 alice McCall is located in Chadstone's Australian Designer Mall on ground level.